As you probably know from experience, auto insurance can be incredibly expensive. Some people spend as much as a few hundred dollars every month on auto insurance for just one car. This translates to a few thousand dollars a month for auto insurance. In hopes of saving money, many drivers opt to just pay for bare-bones insurance. 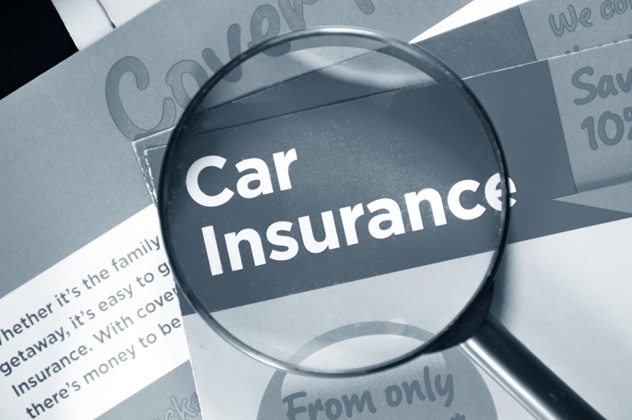 While bare-bones auto insurance may appear to be a great deal, it is actually a sham. Here are a few reasons why bare-bones auto insurance is not worthwhile for the vast majority of drivers. Why Do Drivers Go for Bare-Bones Auto Insurance? The cost of auto insurance differs from state to state. Auto insurance rates are based on many different factors, such as the percentage of uninsured drivers in the state and the average number of accidents annually. Also, different states have different regulations when it comes to minimum coverage. In some states, if an individual opts for minimum coverage, they may end up saving thousands of dollars per year on auto insurance. Without a doubt, the possibility of saving thousands of dollars encourages many drivers to go for bare-bones insurance. However, the strategy of signing up for the minimum coverage for auto insurance is actually quite risky. If you never end up in a car accident, you could get away with just paying for bare-bones auto insurance. However, if you find yourself in even a minor accident, you will likely have to pay a lot of money out of pocket to cover the damages. This is because minimum coverage will likely not even cover the cost of these damages. Even worse, it is important to consider that many drivers are uninsured in the United States. in fact, in seven states, about 20% of all drivers are uninsured. These states are Florida, Oklahoma, New Mexico, Mississippi, Tennessee, Michigan, and Alabama. Therefore, if you get into a car accident, there is a big chance that the other party will be uninsured. In such a situation, you won’t even have the option of falling back on the auto insurance of the other party, even if the accident was not your fault. Essentially, when it comes to bare-bones auto insurance, there is the potential to save big as well as the possibility to lose big. Also, if you are not involved in a car accident, but your vehicle is damaged, you will have to cover all the costs. For example, if a tree falls during a storm and wrecks your car, your auto insurance company will not cover the costs of the damage. When Does Bare-Bones Auto Insurance Make Sense? While minimum coverage for auto insurance simply is not adequate coverage for most drivers, there are some situations when bare-bones auto insurance makes sense. If one of these scenarios apply to you, bare-bones auto insurance may actually be a good choice. Emergency Savings – If you have thousands of dollars in emergency savings in the bank, you can consider paying for minimum coverage for your auto insurance. That way, if you find yourself in a car accident or you accidentally back into a pole, your insurance company may cover some of the costs for the damage. You will then be able to dip into your emergency savings to cover the rest of the cost of having your vehicle repaired. Essentially, if you can pay for damages out of pocket, your need for insurance coverage isn’t as great as that for other people. Old Car – You don’t have to pay a high premium for car insurance on a vehicle that is old and essentially worthless. If it won’t bother you much if your vehicle gets into an accident, you can skip comprehensive and collision coverage. In some cases, it is better to purchase a new vehicle than to have an old vehicle repaired after a bad car accident. The same may go for situations in which your vehicle is stolen or vandalized. Little Time on the Road – If you rarely drive a vehicle, you can think about paying for minimum coverage for the vehicle. A vehicle that spends little time on the road is less likely to get into a car accident. As you can see, bare-bones auto insurance is not worthwhile if you want to save money on car insurance. A better way you can decrease your car insurance premiums is by attending traffic school or taking a defensive driving course. Car insurance companies will give you discounts if you can prove that you’ve taken classes to learn how to be a safer driver.